(Ag Professional) – With talks slowed by discord and tough demands by the U.S., the hope for a quick finish to a redo of the North American Free Trade Agreement was gone after talks in Washington, D.C.
Mexico will host the next round, the fifth round of talks, in Mexico City Nov. 17-21. Additional rounds will be scheduled through the first quarter of 2018, according to the statement. There was some media speculation that President Donald Trump might scrap NAFTA all together if the U.S. demands aren’t met. U.S. Trade Representative Robert Lighthizer said in a statement Oct. 17 that Canada and Mexico have not been receptive to U.S. proposals that would reduce U.S. trade deficits. Produce has become a big story line in the NAFTA talks, and the Chicago Tribune ran a story Oct. 17 headlined “How a group of Florida tomato growers could help derail NAFTA,” describing the efforts by Florida growers and others to put a new trade remedy tool for seasonal perishable producers in the updated NAFTA — a proposal that Mexican negotiators said sink any agreement. Mike Stuart, president of the Florida Fruit and Vegetable Association, said in an e-mail that Lighthizer confirmed in his press conference Oct. 17 that the seasonal and perishable provision has been formally put forward by the U.S. in the trade talks. The proposal has met fierce resistance from Mexico. Bosco de la Vega, president of the National Agricultural Council, told the Chicago Tribune the proposal was a “red line” and against the interests of free trade. 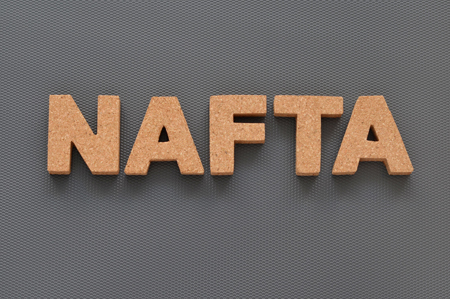 Exporters of apples, pears, pork and other commodities are concerned the trade remedy, if included in NAFTA, could be used against their exports to Mexico.